I’ve just had an amazing ride to meet a friend for a beer, zero per cent alcohol in my case! The temperature was 28.5ºC when I left at 7 PM. It normally takes me 35 minutes to get there in my car, so I was amazed that it only took me 30 minutes longer to get there by bike. We sat in the beer garden enjoying the balmy evening. The journey back was the good bit of the ride. I left the pub at 22:05 so it was already pretty dark, with just a faint glow in the sky near the horizon. I had two lights on the front and they lit the road fairly well, especially in the dark bits, like when riding through woods. 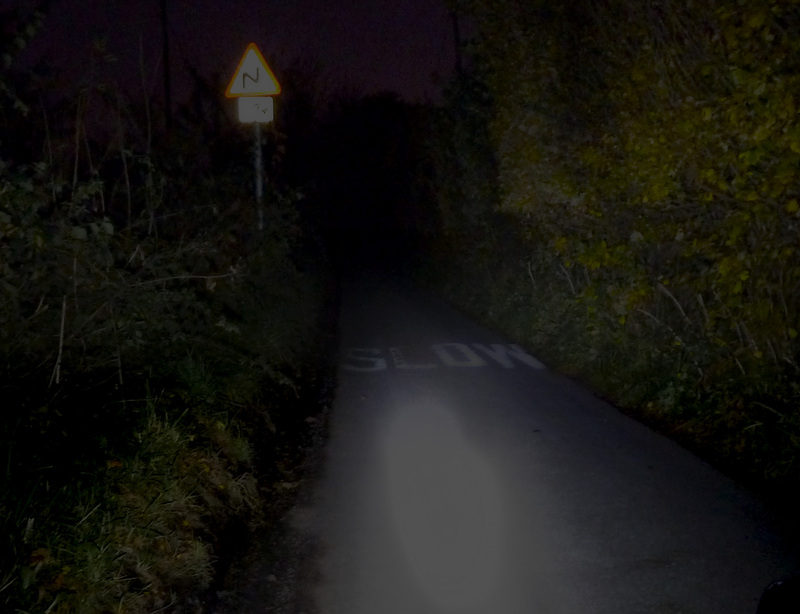 There is something I love about riding through dark country lanes at night. It’s totally different to riding through a city. The main feeling is one of isolation. Everyone is tucked up in their houses while I’m out there, on my own, with just the night creatures for company. It’s very peaceful. The only sound is the wind in your ears and the swish of the tyres. Very few cars passed me the whole journey. At one point, a badger was running ahead of me in the road; my light was on him and he didn’t seem to know which way to turn so he kept on running down the road. I didn’t realise that badgers could run that fast. Eventually he turned off into the hedgerow. Even when I got back, the temp was still 20ºC. It was a beautiful evening for cycling, and a pleasant, stress-free, environmentally-friendly, cheap and healthy way to get to the pub! I must have been enjoying myself as I managed to rack up 10 personal bests on Strava.